Let me first ask a serious question of those who vocally argued for Nana Akufo,Addo during his rise to power in 2016: What did they think Ghana would be talking about his second anniversary as President of the republic? I am not sure what they would reply, but I suspect it would be something about the hastily implemented free senior secondary school concept, the fake factories, the recommissioning of projects already commissioned by his predecessor, John Mahama. At least, these are the claims the less obviously religiously inspired followers of Nana Akufo Addo made at the time. -Various people who should know better, but who now feel committed to defending their absurd choices since 2017. Slowly but unquestionably, this complicity, silence, hypocrisy and outright support for the less progressive instincts of our ruling establishment, from those who should know better, is causing our slide into being an also ran country. Once we were close to being able to have the moral high ground on many global issues and was rated amongst the best in terms of governance (Under Mills/Mahama); now we are a country that publicly reward those who committed, on video, human rights violation, promote corrupt government officials, buy expensive vehicles and guns for hoodlums who work for the ruling party and government officials. Once, people who came to Ghana asked about how to make money, where to live, the State of our economy. Now people ask first about vigilantism in Ghana, shooting and killing of innocent citizens including journalists and public officials. Once, people talked about how Ghana was young enough to have a demographic divided; after two years of Akufo,Addo, with no progress on reform, on job creation or anything but the infrastructure of anger, the same people talk about how Ghana is young enough to have a demographic time bomb. 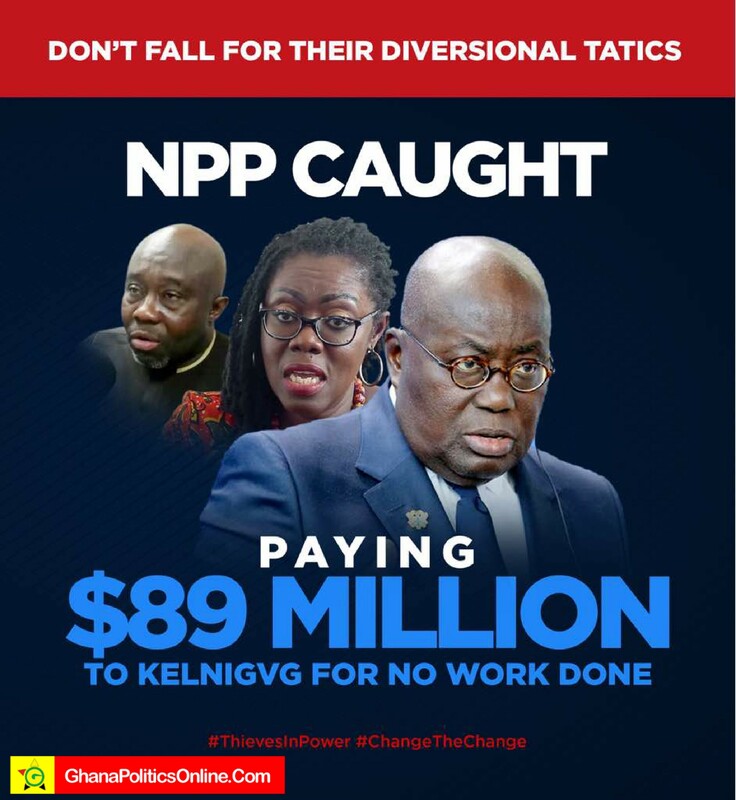 Nana Akufo-Addo has proven to be a big disappointment. He has not lived up to expectation, and that is why some of his ardent supporters have started attacking the administration on radio and other pubic platforms. Ghanaians who expected a fair and sweeping clean-up of corruption have been disappointed. There is an ad hoc air to the government that does not inspire that vital ingredient for a stable economy and confidence. There is, at all level of government, a relentless blaming of the Mahama administration and a refusal to acknowledge mistakes.And there are eerie signs of the Kufour era repeating itself. Nana’s tone and demeanor are reminiscent of the period between 2001 and 2008. It is either Ghanaians decide they want a proper change on how to move the country forward or continue like this. The country is dead completely. The solution to the hell we going through is not artificial revival of the Cedi, issuing, excessive borrowing or Kenkey party. 99 percent of our problems is self inflicted, they came upon us because of bogus policies, corruption and mismanagement. The policy adopted by Government to revive the Cedi is bogus. The President has spoken of his weak reasons for ignoring the many economists who warned about the danger of his backward policies. He believes, rightly, that Ghana needs to produce more of what it consumes, and he wants to spur local production. But the President must be told that local production cannot ‘ve willed into existence if the supporting infrastructure is absent, and cheap rhetoric has historically led not to local production. His intentions, good as they well might be, are rooted in an outdated economic model and an infantile view of Ghanaians. The President and his team seem comfortable with propagation of fake economic figures. The hallmarks of Mahama’s four years were ambitious projects which were executed both local and foreign contractors. The results are tangible. The massive road projects, the interchange, the hospitals, clinics, polyclinics, schools, potable water. One of Mahama’s achievements was the introduction of the e-system and IT to cut through red tape. Nana Akufo-Addo inherited an economic projected by the world bank and other reputable financial institutions to grow above 8 percent between 2017 and 2018 because of the massive investment the previous administration had made in the oil and gas sector and other prudent measures it implemented. President Akufo Addo on assumption of office, wiped off all the gains and destroyed all the pillars by delving into dirty politics rather than focusing on fulfilling the fantastic promises he made on his campaign platforms. His economic team is a huge disappointment to both international and local enthusiasts. People could feel this sense of oligarchy and gerontocracy in the President’s cabinet and this questioned the credibility and competence of the government’s management team. The President and his team focused their attention on propaganda and cheap politics rather than governance.